Enhancement Suggestions for Blackboard Inc.
Get started quickly with the Blackboard and New User checklist. Have some Blackboard related questions and want to talk it over with someone? Please review the IT Support page for information on our flexible support services. To help you learn how to use tools, design courses, and assess students, Blackboard provides a wide variety of short video tutorials. These videos are organized by topic into playlists on YouTube. A playlist to help instructors learn how to build tests and assignments, grade student work, and use the Grade Center effectively. A playlist to help instructors learn how to communicate with students and inspire everyone to collaborate. A playlist to help instructors build their online course. A playlist to help instructors look at course data, run reports, and reuse course content. The complete series of short video tutorials to help instructors learn how to use tools, design their courses, and assess students. Blackboard has also created a number of video tutorials for students. All students use their myACCESS ID and password to access Blackboard. "Help" information for students appears on the Blackboard login screen. If students have difficulty logging into Blackboard, please direct them to the Student Help Desk. Preparing for the next term? With the current term ending, it's time to get your courses ready for the new term. Also see the Faculty FAQs web page. Visit Blackboard Central for your one-stop source of information about technical resources, news, schedules and events regarding the College's exciting new Blackboard Learning Management System. As the most widely-adopted course management system among post-secondary institutions in the United States, Blackboard provides a best of breed solution for the many assessment, discussion, and course management tools that are now available to all faculty and staff at the College of DuPage. Be sure to check this site regularly for important updates and announcements. 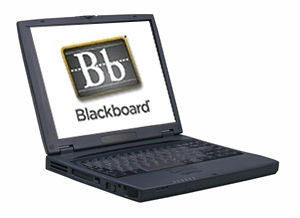 To better meet the College's changing technology needs, now and in the future, the Blackboard Learning System was purchased in Fall 2006. This decision was based upon the recommendation of the Course Management System Continuous Improvement Team. A Blackboard Transition Team was immediately formed to review, and make, recommendations concerning the successful transition of online, hybrid, and web-enhanced courses into Blackboard. This team was chaired by Annette Haggray, Dean, Academic Alternative/Instructional Support, and met regularly with sixteen members representing all areas of the College. By Fall 2007 term, Blackboard was fully integrated. In Spring 2014, Blackboard was used to deliver over 490 sections of fully online courses, as well as many web-enhanced and hybrid courses. Periodically, the Blackboard system will release product updates that will introduce new features and enhancements to existing features.